The Mobile-Tensaw Delta lies in a river valley north of Mobile Bay. 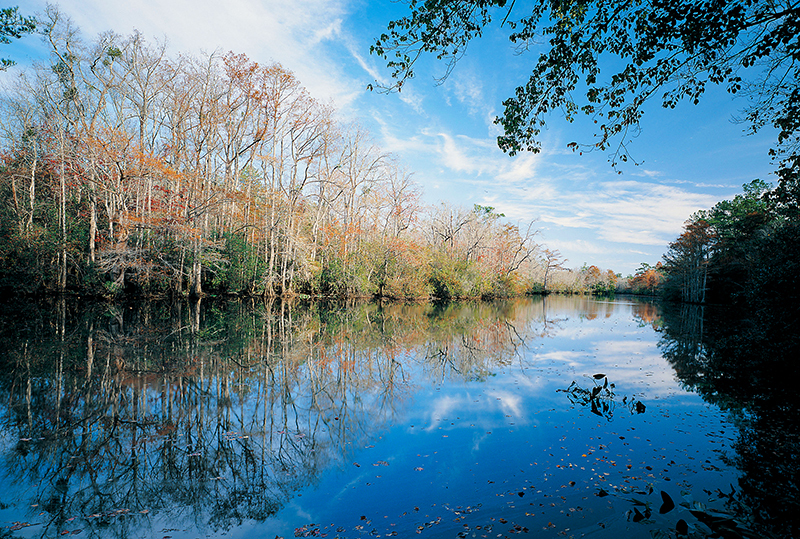 It is fed by the Tombigbee and Alabama Rivers and is home to diverse wildlife habitats. The delta was the site of several early European colonies and provided an access point for exploration of the state's interior.